Moody's Investors Service has today assigned a Ba1 rating to the proposed USD-denominated trust certificates (or sukuk) of NMC Healthcare Sukuk Limited. At the same time Moody's assigned a stable outlook to NMC Healthcare Sukuk Limited, a special purpose vehicle, which will issue the sukuk and which is owned by NMC Health. The proceeds of the proposed certificates will be used for the repayment of existing financial debt. The rating on the trust certificates is subject to review of the final documentation, the terms and conditions of which are not expected to change in any material way from the draft documents reviewed. The Ba1 rating assigned to the sukuk is in line with the Ba1 Corporate Family Rating (CFR) of NMC and will rank pari passu with all of the company's existing unsecured indebtedness. The proceeds of the certificates will be used by NMC Healthcare Sukuk Limited (in its capacity as the Issuer) to acquire a portfolio of assets comprising no less than 34 per cent of the aggregate face amount of the certificates in Ijara assets (real estate assets) and no more than 66 per cent of the aggregate face amount of the certificates in Shari'ah-compliant commodities to be sold to NMC Healthcare on a deferred payment basis pursuant to the terms of the Murabaha Agreement. NMC Healthcare Sukuk Limited will collect rental income from the Ijara assets under the Lease Agreement and instalment profit amounts as part of the deferred sale price under the Murabaha Agreement to make periodic profit distributions to holders of the certificates. Following the occurrence of a dissolution event, NMC Healthcare LLC (in its capacity as the Obligor) is required to (i) purchase from the Issuer the portfolio of Ijara assets at a predetermined exercise price irrespective of the performance of the underlying assets; and (ii) pay the Issuer the aggregate outstanding amounts of the deferred sale price. The exercise price and the aggregate outstanding amounts of the deferred sale price will then be used by the Issuer to pay the holders of the certificates. Holders of the certificates will not be exposed to the performance risk of the portfolio assets relating to the certificates and do not have any preferential claim or recourse over the relevant trust assets, or rights to cause any sale or disposition of the trust assets except as expressly provided under the transaction documents. While the Seller of the Ijara assets is His Excellency Saeed Mohammed Buti Mohammed Khalfan Al Qebaisi -- a minority shareholder in NMC - the entire proceeds of the sukuk will be made available to NMC. There will be no steps taken to perfect the legal transfer of the ownership interest in the lease assets and NMC Healthcare LLC has covenanted under the sukuk agreements to ensure it will remain the ultimate Obligor under the transaction. 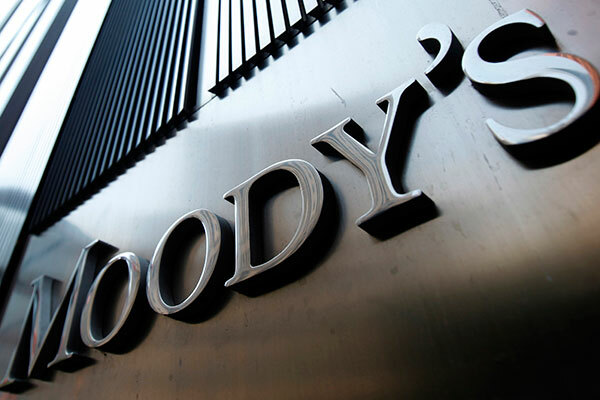 Moody's notes that its sukuk rating does not express an opinion on the sukuk structure's compliance with Shari'ah law. NMC Health plc's Ba1 CFR, Ba1-PD rating, and stable ratings outlook reflect its business profile, as the largest healthcare provider in the United Arab Emirates (UAE, Aa2 stable) by revenue. NMC also operates one of the largest wholesale distribution businesses in the UAE, including fast-moving consumer goods, pharmaceuticals and scientific equipment. Moody's notes that the UAE is an affluent healthcare market, with an attractive demographic profile. The ratings also take into account NMC's favourable regulatory environment to date, in particular, the company's good relationships with various regulatory bodies that adopt a constructive approach to dealing with any challenges that may arise. At the same time, the ratings consider the company's small scale of operations, as a private healthcare provider with revenues of $1.8 billion for the 12 months ended 30 June 2018 (LTM June 2018). As of 30 June 2018, NMC owned 97 and managed 78 facilities, with around 3.4 million patients seen in the first half of 2018. In terms of concentration, six facilities represent 63.2 per cent of EBITDA as of LTM June 2018. Consequently, any unforeseen challenges affecting the ability of these operations to function according to plan could have a material adverse impact on NMC's EBITDA and deleveraging trajectory. To date, NMC has not faced any closure or censure of its facilities. The company continues to strive to meet self-imposed standards that are higher when compared to what is expected of it by various regulators. This approach supports in turn its resilient business model, loyal customer base, strong brand recognition and market leading position. NMC also continues to attract highly skilled doctors to its facilities from the Middle East and further afield through enticing remuneration packages and working conditions, and because of the good quality of life offered to expatriate workers in the UAE. NMC has a strong track record of integrating its acquisitions. Specifically, in incorporating new operations into its own operations to add scale-driven synergies. NMC aims to and has shown that it will only acquire operations that are not broken, but are also not fully optimised, with the potential to breakeven soon after the acquisitions. Most of NMC's expenditure on medical equipment or supplies is predominantly in US dollars or euros. Because the company generates most of its revenues in UAE dirhams - which is pegged to the US dollar – it is exposed to less volatility between revenues and costs attributed to changes in exchange rates; thereby protecting margins. The same cannot be said about other emerging market private healthcare groups, which often earn revenue in currencies that are volatile versus the US dollar or euro. Furthermore, the ratings recognize NMC's strong liquidity profile and strengthening credit metrics, with debt/EBITDA likely to trend towards 3x over the next 18 months. The company has a public commitment to keep net debt/EBITDA below 3.5x. The ratings are further supported by the quality and stability of NMC's operations, which offer world class care, notably for in vitro fertilisation and long-term care facilities through its multiple offerings. The diversification associated with NMC's business profile is enhanced through its distribution business, where it holds sole rights for a number of noteworthy brands, including Nestle, Nivea and Pear. NMC also sells 3M, Siemens and Samsung medical products and is the sole distributer for Pfizer pharmaceutical products. The stable ratings outlook assumes that NMC will deleverage towards 3x debt/EBITDA over the next 18 months. The stable ratings outlook further presumes that NMC will maintain the smooth functioning of its operations, in an environment with no material challenges to its key EBITDA generating facilities. The sukuk has upstream unsecured guarantees from all material operating subsidiaries to the sukuk. These are deemed equivalent to the downstream guarantee package consistent with the remainder of NMC's unsecured debt capital structure. As such there are no structural subordination considerations with regards to the sukuk and the rest of NMC's debt capital structure. NMC's liquidity position is sufficient to meet its operational and capital expenditure needs of $344 million over the next 18 months, as forecasted by Moody’s. This situation is supported by surplus cash balances, which Moody’s estimates will exceed $100 million over the next 12 months, taking into account operating cash requirements of around $62 million. NMC's liquidity profile is further strengthened by a $400 million revolving liquidity facility, which is fully undrawn as of 30 June 2018. Given the scale of its operations, level of geographic diversification and high leverage, upward pressure on NMC's CFR is limited over the next 18 months. And, its scale would need to exceed $5 billion in revenues, with debt/EBITDA trending below 3x to be considered for an upgrade to Baa3.